The heat is on here in Cincinnati! 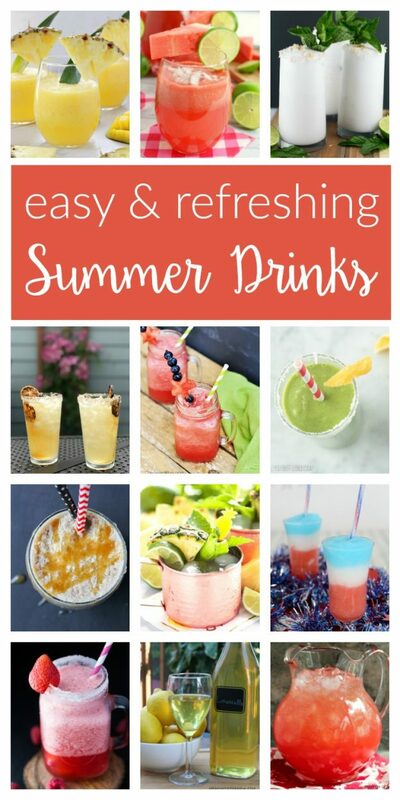 Our temperatures have already hit the 90s and I am on the hunt for a few refreshing summer drinks to stock my fridge with this summer! 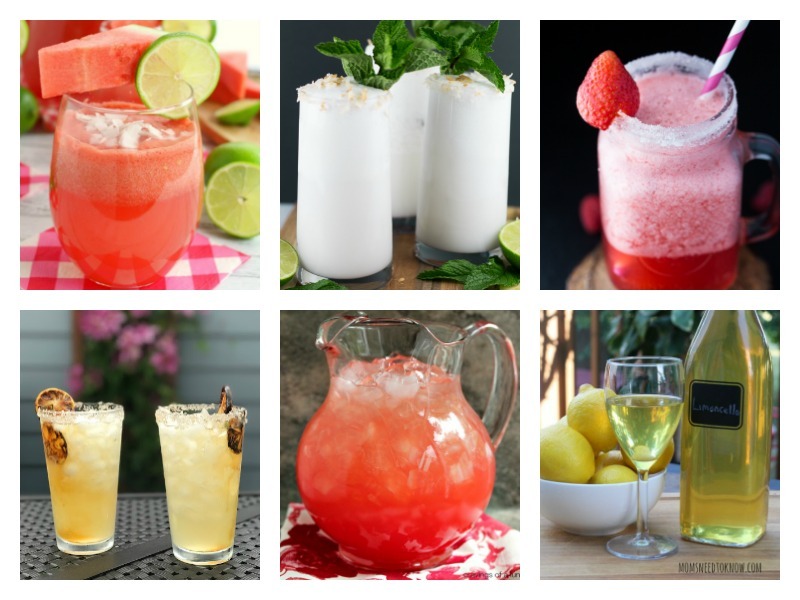 I found so many delicious options—from alcoholic cocktails to nonalcoholic slushie ideas—that are just as fun and easy to make! What’s your go-to summer drink? Now, let’s get to the party! Sign-up for the Merry Monday Link Party Email. Get info on giveaway and blog hop opportunities. And the links to some of the other feature round-ups! This entry was posted in Merry Monday Link Party, What's Cooking on June 11, 2017 by Two Purple Couches. Thanks Emily for the 158th Merry Monday. Thank you for hosting. Happy week! You’re welcome Lydi! Have a wonderful week! Thanks so much for including my agua fresca. Much appreciated. Everything else looks amazingly refreshing. All of those drinks look so refreshing. 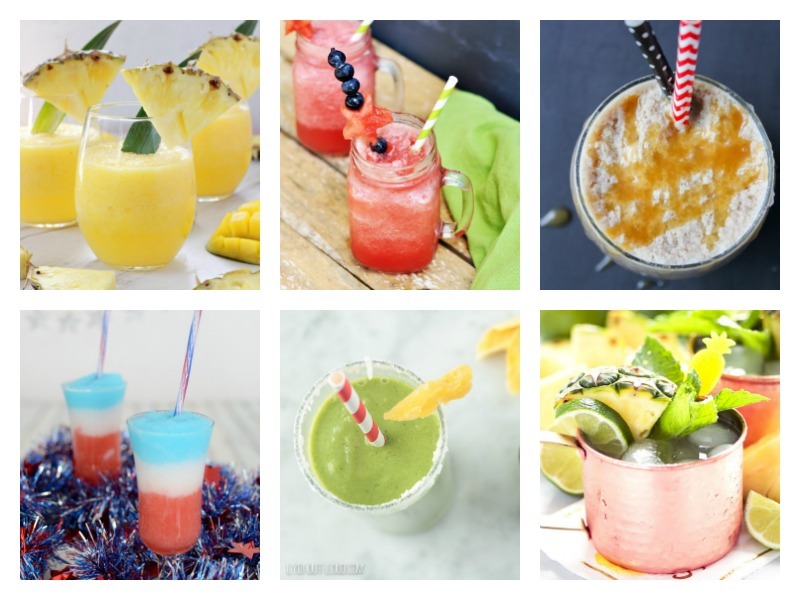 I’m dying to try the first two slushie recipes.